I’m so excited to feature Jen Snyder on my blog! She’s a mom of three and has a background in real estate and marketing. She’s one of the most supportive bloggers you’ll find online! Making money blogging is a lot of fun! You get to help someone solve a problem they are having. Even better, you get to do it through something you have created. And yup, the money doesn’t hurt either! But if you have never made money through your blog, where do you start? I know we all have dreams to make $1,000, $5,000, and $10,000 blogging. But those numbers can feel huge and overwhelming. That’s why I like to start with making your first $100. When you do that, it becomes easier. The target isn’t so big and you can see how to actually make it happen. Plus, like I always say, when you figure out how to make your first $100, you are well on your way to hitting those bigger numbers! One of the easiest ways to get started making money blogging is through affiliate income. You don’t have to create a new product. You can use someone else’s product that is ready to go and start promoting it. This saves you a ton of time! I also think it is easier emotionally to sell someone else’s product. When we create something that is our own we are investing a lot of time and our own work into it. It can be scary to go out there and sell ourselves! Affiliate marketing gives you the chance to get used to selling to your readers. It allows you to sell without putting yourself out there with your own products. It’s a great way to dip your toes in the world of making money online! So how do you get started? When I started doing affiliate marketing I was so overwhelmed by all the options out there. There are millions of them! 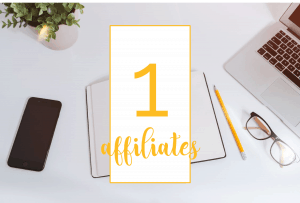 Quick Tips from Suzi: Most bloggers start with becoming an affiliate for Amazon. You can promote millions of products and it’s easy to sign up. Here is how Carolina, a mom blogger, makes over $1,000 per month with her small blog. 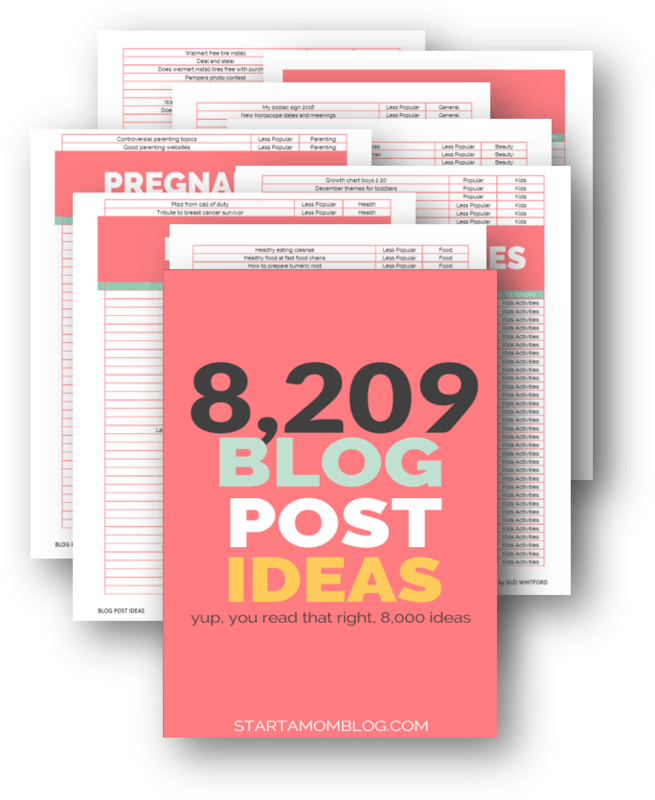 Also, here are 83 unique ways to make money with a blog. One of the easiest ways to promote an affiliate product is to create a tutorial about it. Many times people will be interested in a product but not sure how to use it. This fear can stop them from buying it. To help them get over that fear give them a step-by-step tutorial about how to use it. This builds trust with your readers. It also gives them confidence that they can actually use the product the right way! For example, here’s a tutorial I created about how to use Thrive Landing Pages. 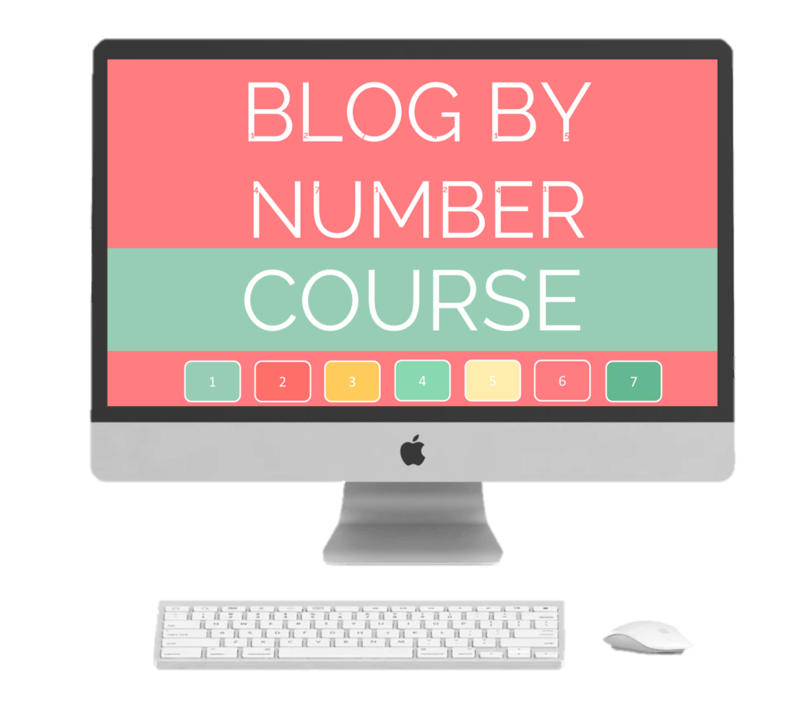 Suzi has a great tutorial here about How to Start a Blog! Another idea on how you can promote an affiliate product is showing how you use it. Maybe you are a food blogger and are using the spriralizer to make zucchini noodles. You can be an affiliate for that product and then do a demo video about how you use it. People will be more likely to buy it because they have you as a resource showing them how to use it! We love going to the internet and reading reviews on products don’t we?! We are the Amazon society after all. We like to know people’s experiences with a product before we are willing to invest our money into the product.  Use this to your advantage as a blogger! Pick one of your favorite affiliate products that you have used and do an honest review on it. Let people know why you purchased it in the first place and how it has helped you. Give an honest review including any downsides to the product. People will appreciate your honesty and will be more likely to buy the product based on your review! A resources page is a great way to get eyes on your affiliate products! Create a page on your blog and make a list of the products you use in your life or your business. Give a brief summary of why you use the products and how they have helped you. Link to any blog posts you have written about the products. Then add the resources page to your navigation menu so your readers see it when they visit your blog. Make a list of your favorite products that you use. Research them to see if they have an affiliate program. Pick your top 3 affiliate programs that you can promote. Set goals on how many you need to sell to get to $100. Keep a spreadsheet with how much you earn per sale. Create a plan of how you will promote the affiliate programs and then do it! Share your affiliate posts on Pinterest and Facebook. Send it your email list on a regular basis to bring in sales! Add your affiliate products to your resources page and add it to the your navigation menu. My favorite way to get started selling your own products online is to create an eBook. Creating an eBook is a great way to test the waters to see if your readers will buy from you. This is what I did when I sold my first product, Find Your Tribe Online. I sold this product as an eBook and for the first week I sold it for only $7. That first week 51 people bought it. It was amazing! As I watched my PayPal balance grow, something else grew: my confidence. I now knew that I could create something and that my readers would buy from me. It was and still is an incredible feeling! The first thing I did when I created my first eBook was listened to my readers. I listened to what they were struggling with and what they wanted to learn more about. I hosted surveys and I asked questions. I paid attention to the questions my readers were asking in Facebook groups. Then I analyzed what I was seeing. I picked out the number one problem people were having and worked to solve that through my eBook. Then I created it using a combination of Google Docs, Spreadsheets, and Canva. 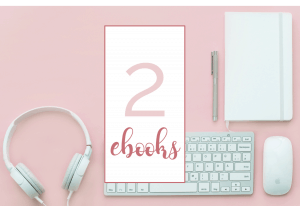 It is so important to make your eBook look good! When my eBook was finished, I sold it using SendOwl. SendOwl makes it super easy for people to buy your book and for you to make sales. The reason I like starting out with an eBook is because it is a low barrier to entry. You aren’t sinking tons of time and energy into it like you have to do when you create a course. You can solve people’s problems with an eBook without having to go through the intensity of creating a course. Plus you can create an eBook in a week where a course can take months to complete. When it comes to making your first $100 with an eBook, price matters! Typically eBooks are a lower price point than courses. I price my eBooks in the $7-$17 range. When you break it down like that it doesn’t seem overwhelming does it?! It seems much more doable and less scary when you break it down into manageable numbers! 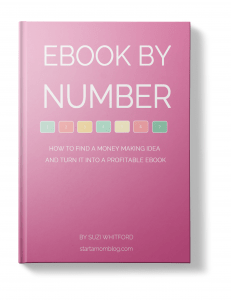 Quick Tip from Suzi: If you need help creating your ebook, enroll in Ebook by Number. I’ll show you how I made $33,000 by selling ebooks! Survey your readers to find out what they are struggling with. Analyze the answers and determine the number one problem your readers face. 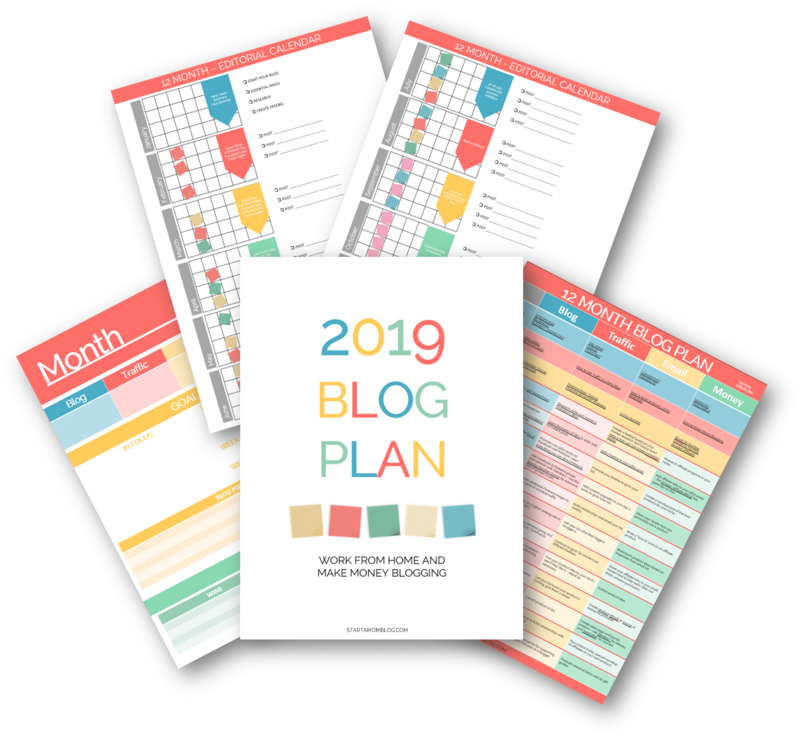 Make a plan to write your eBook. Dedicate at least 60 minutes to it every day. Set your eBook up on SendOwl and launch it! Promote your eBook to your email list, pin it on Pinterest, share it on Facebook, and Instagram. Next to eBooks, I love selling my own courses! I get to control the content and the price of the course. I also get to keep 100% of the profits which never hurts! Plus it is so rewarding to create a course that can change people’s lives. I will always be humbled by that! If you have created an eBook, many times a course can be an extension of your eBook. A more in-depth, hand-holding experience for your students. I know that is what Suzi has done with Blog By Number. It’s also what she encouraged me to do with Find Your Tribe Online. Doing it this way is easier as you aren’t having to think of new content from scratch. If you already have an eBook look at how you can expand it into a course. If you don’t have an eBook and want to create a course first, I say go for it! The same logic applies for a course as is it does for an eBook. You want to survey your audience and find out what people really need, what they are struggling with. Then analyze the data and brainstorm how you can help them. Once you have an idea in your head of what you want to create, make a course outline. Create a rough draft of your sections and the main points you want to hit. Then block off time to create your course. When I am writing a new course, I will focus only on that until it is done. If you find that doesn’t work for you, then schedule at least 1-2 hours a day where you can work only on your course. It’s important to schedule the time because creating a course can take a long time. It’s easy to get bored of it and get off track if you aren’t working on it every single day. Create a plan to get it done and then make it happen! Quick Tip from Suzi: Below are the main courses I’ve created. It takes me a few months to create a course – but it’s one of my favorite things to do for my audience! I use these tools and Teachable to sell my courses. A question I am asked all the time is “What should I price my course at?” Pricing your course is an experiment. I have put a price range on my courses from $47-$97 to see what worked best. You should also research other courses in your niche. If the majority of them are priced at $67 and you come out at $147 you may be too high for your market. On the flip side, you don’t want to sell yourself short and price your course at $27 when everyone else is making $67 on their courses. Pick a number, try it out, and make adjustments if you need to! Make a plan to write your course. Dedicate at least 1-2 hours to it every day. Set your course using a service like Teachable. 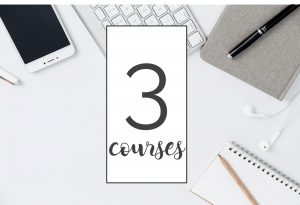 Promote your course to your email list, pin it on Pinterest, share it on Facebook, and Instagram. 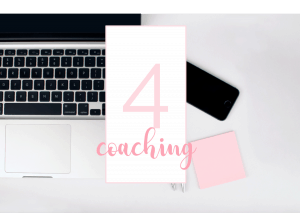 Coaching people or doing consulting work is a great way to make your first $100 blogging. 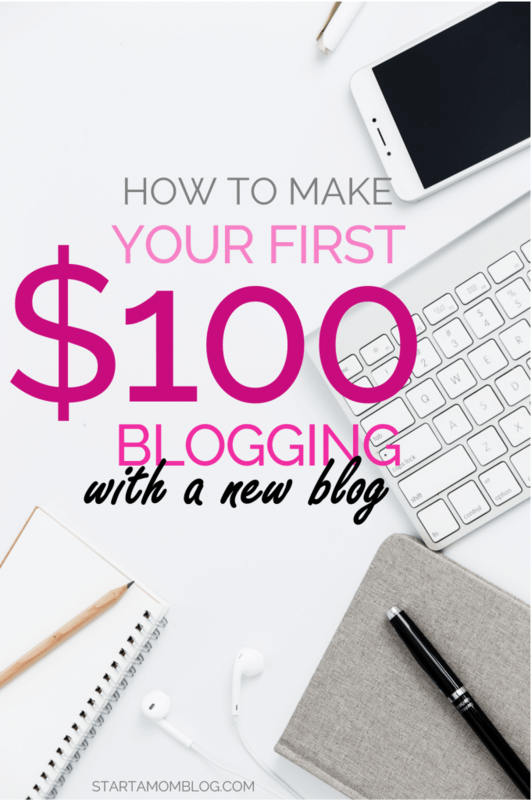 In fact, this is how I made my first $100 on my blog Women Winning Online! I do a lot of teaching in my Facebook group and to my email subscribers. I have done this since the very beginning. One day, I had one of my readers reach out to me and ask if I did coaching. She wanted to know if I could put a marketing plan together for her. I had done this in my previous business so I was excited to do it for Women Winning Online too! I charged her $125 for the plan and just like that, I had made my first $100 through my blog. Are you interested in working one-on-one with people in your niche? It is a very rewarding way to make money through your blog. All you have to do is be 5-10 steps ahead of your ideal client. Or have accomplished a goal that your ideal client wants to reach. Then show them you are the person to help them. You can do this through blog posts, opt-in offers, and Facebook lives. Be visible to your followers, teach them, and then ask for the sale. Show them how you can help them meet the same goals that you have achieved! Remember, you don’t have to know EVERYTHING about your topic. I think this is something that trips up potential consultants and coaches. You just need to be a few steps ahead of where your ideal client is and have a plan to get them to where you are. Decide on who you want to help. Write down what they are struggling with and your plan to get them from point A to point B. Create blog posts around your topic. Do Facebook lives around your topic. Show them that you are a great teacher! Ask. Ask people if they want to work with you. Send a pitch to your email subscribers. Post about it on your Facebook page. Reach out personally on Facebook messenger to 3-5 people a day to see if you can help them. 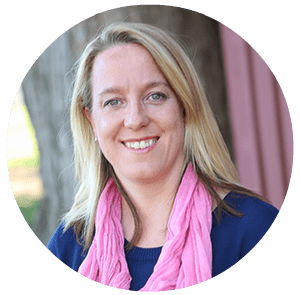 Quick Tip from Suzi: I offer paid for blog reviews and 1:1 calls to my students as a way for me to help them individually, and also to build strong relationships. When I first started out in business 10 years ago, I started by going door-to-door. I was selling my services of creating marketing flyers, postcards, and printed newsletters. Making money online at the time was fairly new and most thought it was a scam. Heck Facebook wasn’t even a thing yet! So print marketing was still very in. I would go door-to-door and cold call on potential clients. I would show up with my printed portfolio of projects showing them what I could do for their business. I would then show them a sales sheet of what I offered and then ask for the business. This is the old school way of getting business. And you know what? It works online too and your blog plays a big roll in it! When you blog think about your passions. Do you like talking about social media in addition to your lifestyle blog posts? Maybe you would be a great social media manager! Do you love working on the details of your blog? Maybe you love responding to emails, scheduling social media posts, and commenting on other bloggers’ posts. Detail oriented people make great virtual assistants! Or maybe you write your blog because you love to write. You love every part of the idea creation, and the editing. Maybe you could offer your talents as a ghost rider or freelance writer. Not much has from when I started my little business of going door-to-door selling my services. When you work online the idea is still the same. You will want to create a portfolio of your work. Include any testimonials from clients that you have worked with in the past. If you don’t have testimonials yet, offer to work with 3 clients for free for a limited amount of hours. Ask them for testimonials after you have completed the work. Then it’s time to go out there and get clients! And no you don’t have to go door-to-door like I did! That’s the beauty of working online. You can work with anyone in the world without having to leave your couch! Go into Facebook groups for small businesses and entrepreneurs. Watch for posts where people are asking for help and respond letting them know how you can help them. Look for bigger bloggers and businesses within your service niche. Reach out to them via email or social media asking if they would like more help in their business. Be confident in your abilities to help. Let that shine through when you are contacting these prospects! A service business is great because there are so many opportunities out there to help others and make money. Even better, you may be able to turn your services into a teaching opportunity through an eBook or a course! Decide on your speciality. 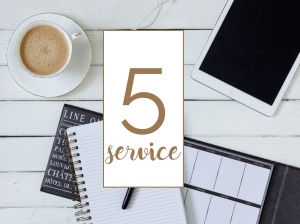 What kind of service business will you offer? Make a list of your ideal clients. Create a portfolio of your work and a services page on your blog. Go out there and start pitching your ideal clients! Follow up with your prospects to encourage them to work with you. Making money working online is a lot of fun! You get to work when you want to and from the comfort of your own home. It’s truly a blessing! But getting started can be overwhelming! Make a goal to figure out how you are going to earn your first $100. Then from there build a business you love that gives you a freedom lifestyle all from the comfort of home! Suzi do you have a affiliate program with Sendowl? I would like to sign up for it!